Published in April 2014, this guidebook includes 60 hikes within 30 miles of downtown Atlanta. This greenspace is in addition to those featured in Hiking Atlanta’s Hidden Forests. 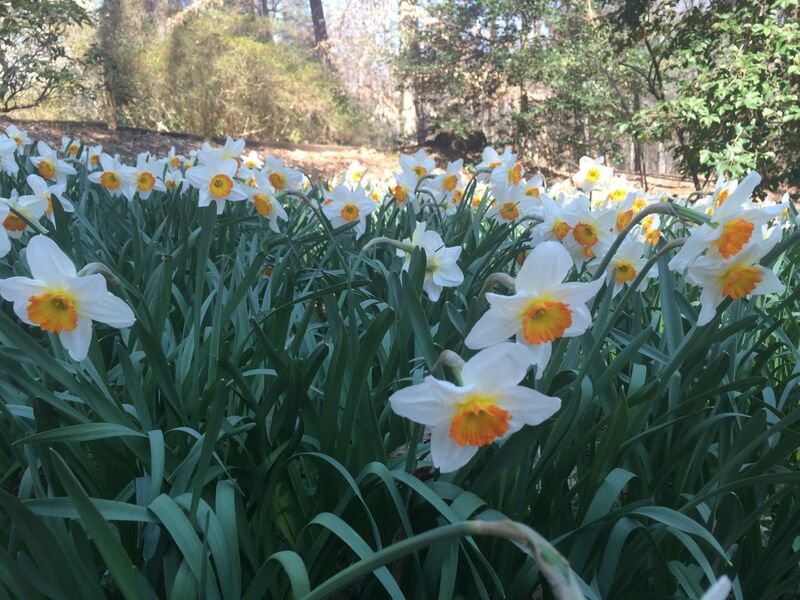 One of the best-kept secrets in Decatur, Woodland Gardens is beautiful in any season, and particularly stunning in the Spring! 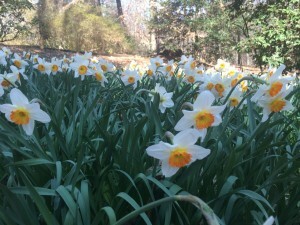 Formerly a private home, Woodland Gardens is now open to the public daily and contains cultivated flower gardens, ornamental trees, and a section of piedmont forest that includes eastern hemlock and several champion trees. Most amazingly, the tallest measured dogwood tree in the world is in this greenspace! It’s not marked with a plaque like the other champions along the trails, but for a dogwood, it’s extremely tall. Come back to Woodland Gardens each week and see the changes in the blooming plants that grow everywhere! This guidebook can help you integrate hiking into your everyday life. The trails contained in this book are nestled in neighborhoods but have the feel of remote wilderness. If you want to walk your dog after work or are in search of a Sunday afternoon excursion for your family, there's a trail close to home to explore. And if you want a full day of hiking that avoids a half-day in the car, Atlanta's hidden forests are a perfect place to go. To be added to our email list (we send an update every month or two), follow the link below for our contact page and ask to be added to the list.